I’ve been to a lot of flower shows and admired a lot of outstanding show stands, so it takes a lot for an exhibitor to really knock my socks off. But nothing could divert my attention away from BlueBell Nursery’s staggering display of unusual trees and shrubs at the RHS Chatsworth Flower Show today. The scene was a fairytale forest packed with fantastical trees and breathtaking blooms, quite unlike any exhibit I have ever seen before. 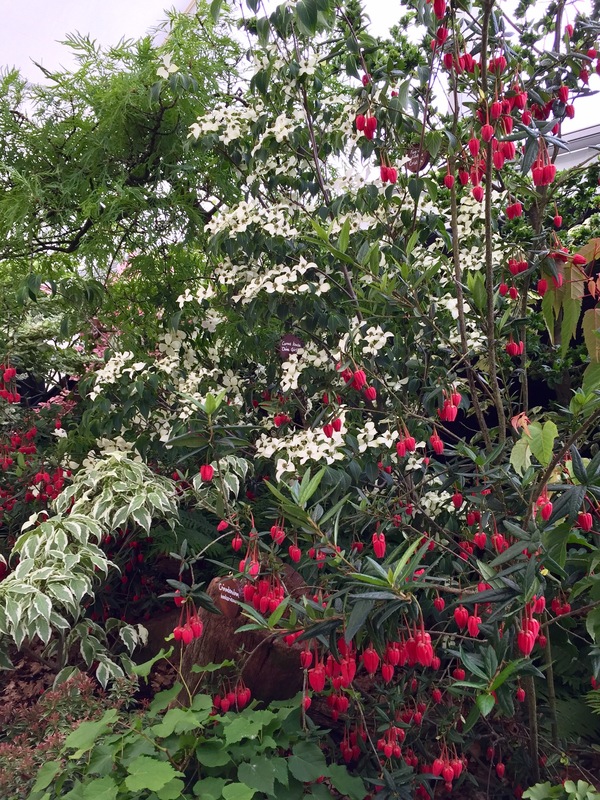 The floral marquees at RHS shows are always rammed with perennials, herbs, climbers and tender exotics, but trees and shrubs are often in short supply. Perhaps it’s down to space restrictions, or limitations on how much stock can be offered for sale, but if this exhibit is anything to go by, the RHS should find ways to attract more nurseries that specialise in woody plants. 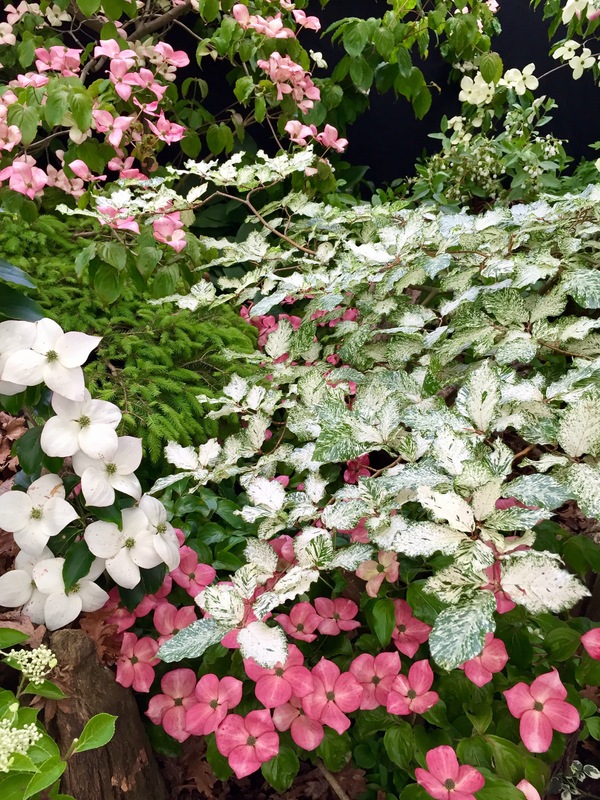 There were audible gasps from showgoers as they peered through the foliage to gaze upon layer upon layer of carefully arranged Chinese dogwoods (Cornus kousa), including ‘Madame Butterfly’, ‘China Girl’ and pink ‘Miss Satomi’. 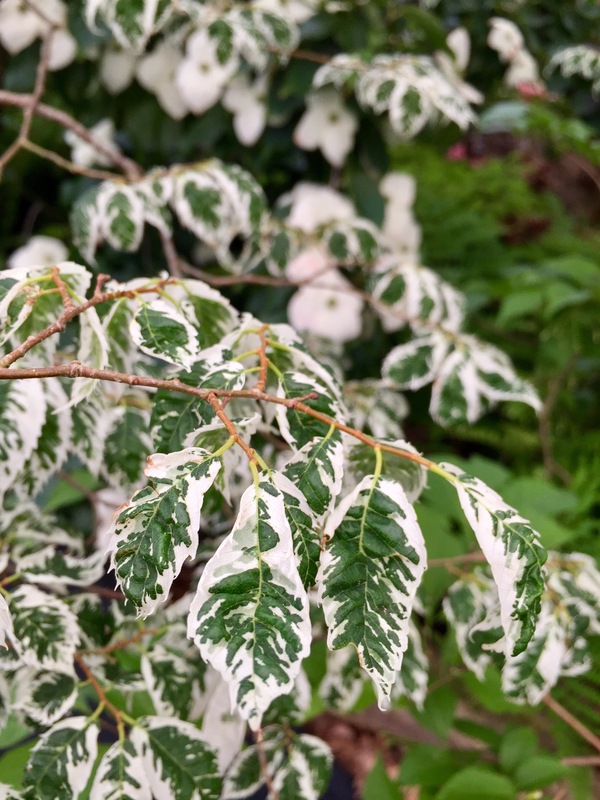 But the stars of the show were the variegated trees, notably Fagus sylvatica ‘Franken’, a slow-growing variant of our common beech with fabulously marbled leaves; the wedding cake tree, Cornus controversa ‘Variegata’; and a variegated water elm, Zelkova serrata ‘Variegata’. 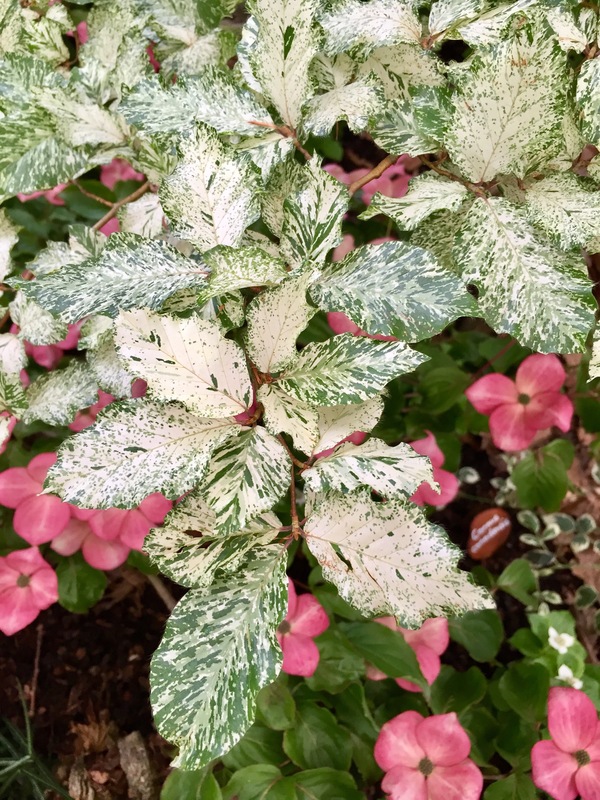 I’m not usually a fan of variegation, but the way the plants had been put together was sublime. I’ve no idea which way the medals went in the floral marquees – the awards had not been made at the time I departed – but this exhibit, along with Kevock Garden Plants and their pictorial meadow of primulas, orchids and meconopsis, would have shared my personal Best in Show award. Well done to both nursery’s for proving, once again, that in gardening one has never seen it all before. Read about my visit to BlueBell Nursery and Arboretum here. I wholehearted agree with you. It was magnificient and really should have deserved the best garden in the pavilions. Bluebell nursery is always a good stand but they excelled themselves this year. They are so helpful with advice as well, and it is never too much trouble for them to help. A nursery well worth a visit. I have had some real gems from them over the years. Thanks for sharing your wonderful pictures. There were too many people around the stand yesterday to get any decent photos. Thanks Florence. My photos were taken on an iPhone with five carrier bags hooked over one elbow and two cameras over the the other. It’s just as well I have a steady hand. I am trying to recall now what I purchased at BlueBell nursery and whether it is still alive …. I seem to remember it was a clematis called ‘Guernsey Cream’, which is rather a poor choice from a tree and shrub nursery, but does do very well in our London garden.